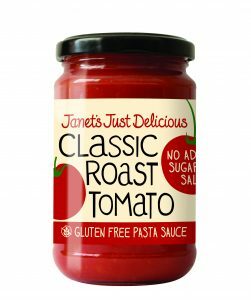 Janet’s Just Delicious Tomato Sauces are slow cooked with juicy ripe tomatoes, onions, fresh herbs and spices. They are ideal as pasta sauces or everyday cooking sauces. They contain no added sugar or salt. Carrot puree is used in our recipes as a natural sweetener. They taste delicious and are really nutritious! Onions add great flavour & are specially blended into the sauces so children cannot pick them out ……! 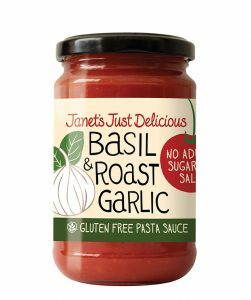 Packed full of freshly roasted garlic slices and aromatic basil: this sauce is prefect for all types of pasta dishes. Simply heat the sauce and add your freshly cooked pasta and stir through. Finish with a generous helping of freshly grated parmesan or pecorino cheese. It doesn’t get any better than this. Delicious and nutritious. Gluten Free and Approved by THE COELIAC SOCIETY OF IRELAND. The original sauce in our range. Perfect for making a meatball sauce, Spaghetti Bolognese or Lasagna. Finish with a generous helping of freshly grated parmesan or pecorino cheese. Excellent as a sauce for making casserole dishes, just add into the pot with your diced meat and vegetables. It doesn’t get any better than this. Delicious and nutritious. 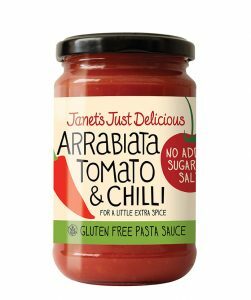 Our Arrabiata Tomato & Chilli sauce is great for those wanting something with a bit of a kick. We add in some freshly milled chilli to give our sauce a medium spice level to suit all members of the family. Add in some more chilli if you prefer a bigger kick ! Delicious and nutritious. 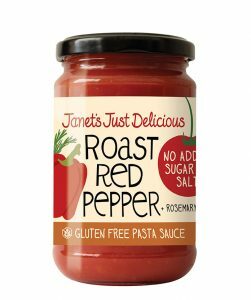 Sweet red peppers, high in vitamin C and antioxidants are roasted to bring out their flavour, added into our sauce with a hint of fresh rosemary. Simply heat the sauce and add your freshly cooked pasta and stir through. Finish with a generous helping of freshly grated parmesan or pecorino cheese. An excellent sauce for making homemade vegetable ratatouille. 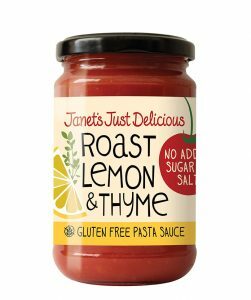 Both the juice and the zest of fresh Sicilian lemons are added to our sauce with a subtle hint of thyme to give a unique pasta sauce experience. Simply heat the sauce and add your freshly cooked pasta and stir through. Finish with a generous helping of freshly grated parmesan or pecorino cheese. The ultimate sauce for a seafood tagliatelle. This flavour is available in selected independent stores. 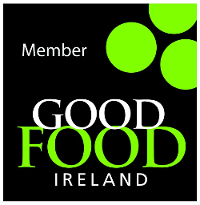 GLUTEN FREE & APPROVED BY THE COELIAC SOCIETY OF IRELAND.